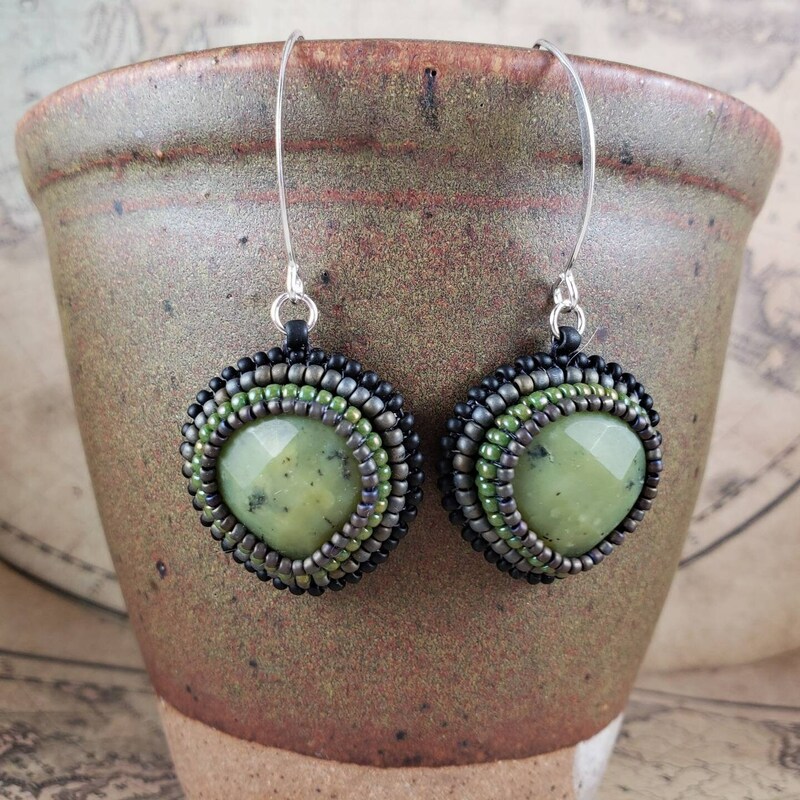 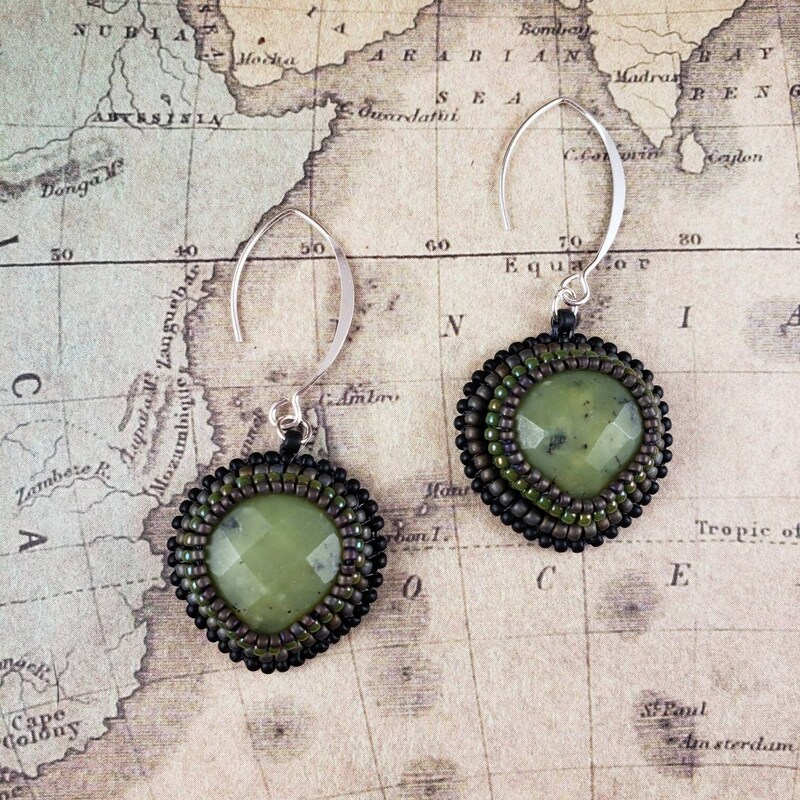 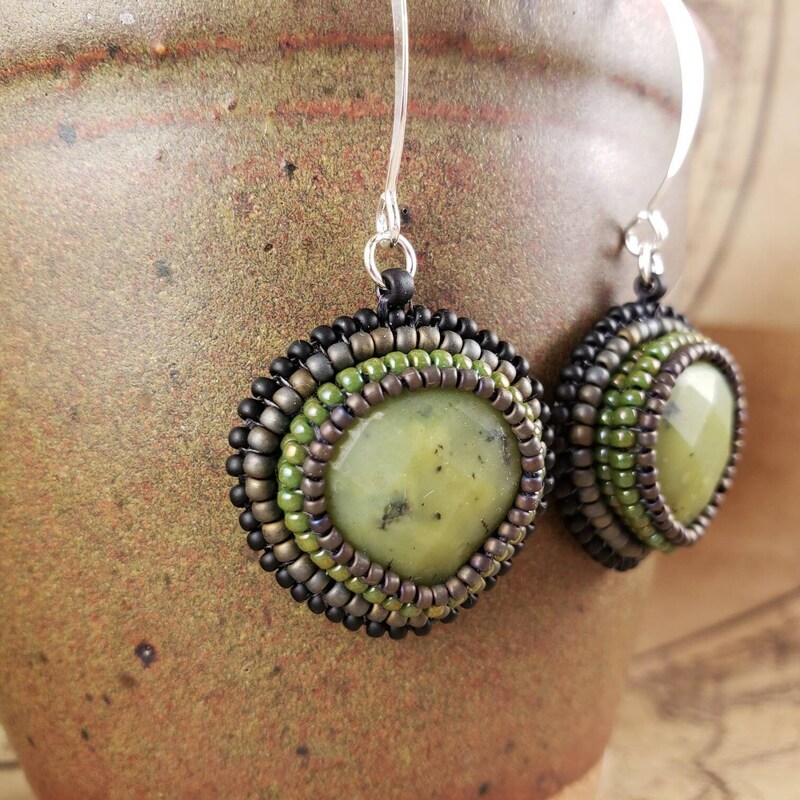 These unique faceted green jade earrings have layers and depth to the stones. 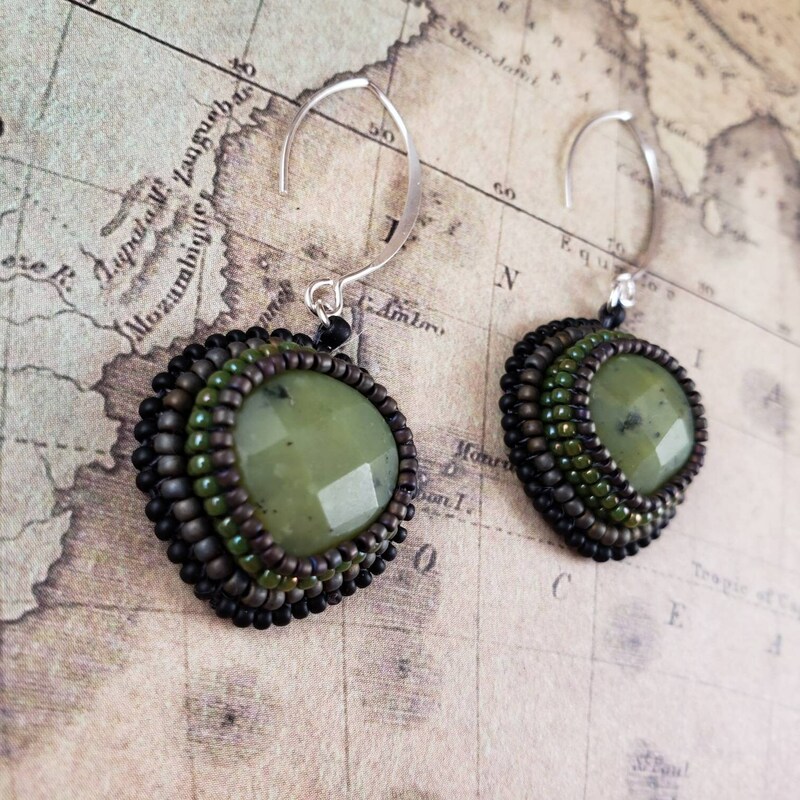 Framed by bead embroidery with matte black, matte gray and glossy green Japanese glass beads. 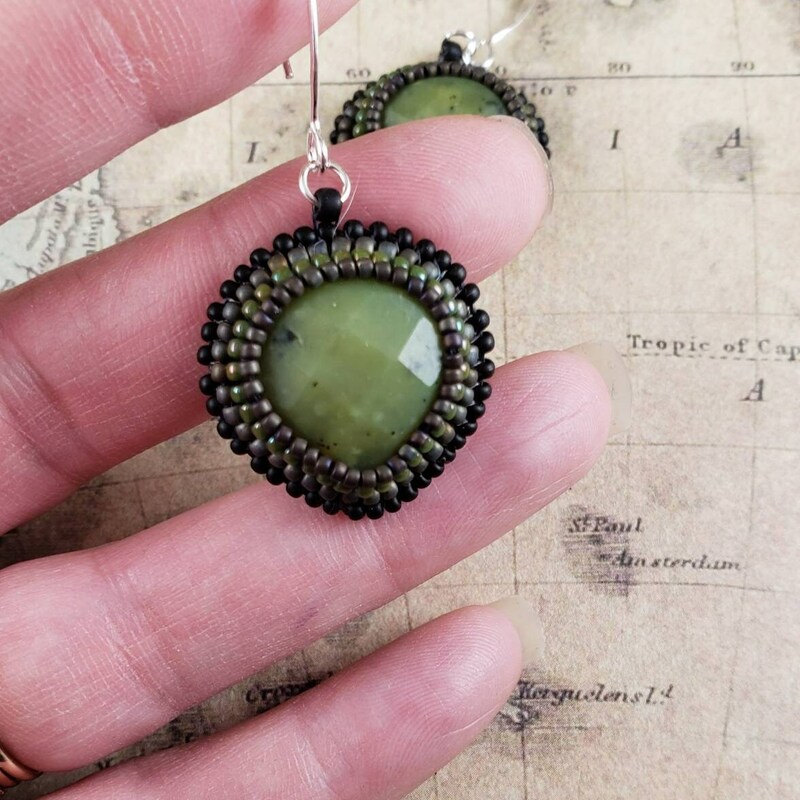 Hanging on slightly elongated sterling silver earwires.